The global financial sector is in the midst of one of the greatest upheavals in its history. Small and innovative banking institutions like GAFA, the internet giants from the US, are challenging established banks with a modern, customer-oriented offering. They are also able to adapt quickly and flexibly to the ever-changing expectations of customers in the digitalised world. With high cost transparency, speed and user-friendliness, they are becoming more and more popular with customers, and have begun to challenge the self-image of the entire industry. As a bank, you need powerful technological solutions to be a key player and remain number one with your customers in the financial world of the future. It is also vital to have a partner that understands both your business and the digital world. Innovative strength needs cool ideas: At the DemoDay we will present the power of the open and modular architecture of the CREALOGIX Digital Banking Hub. In a live demonstration we will show you new features and functions which will provide you with the innovative energy that you as a bank need today in order to meet the new challenges successfully. Experience live and in colour how the modular Digital Banking Hub architecture enables you to develop new, customer-oriented solutions quickly. Why should you leave this fast-growing business segment to the new players? Throw your own competence into the field and earn kudos with ideas, quality and speed! Jurgen Ingels, serial tech entrepreneur, will explain the importance of the ecosystem and will dive deeper into the fintech world. 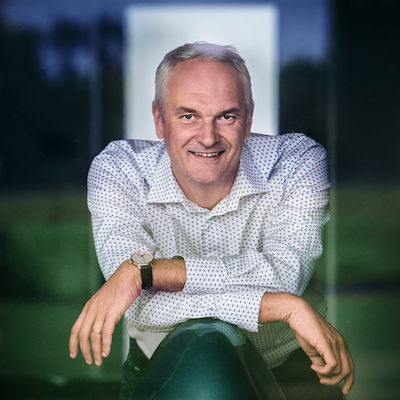 Jurgen Ingels is the Founder of Clear2Pay, a leading payments technology company. Under his leadership, he grew the company to one of the world leaders in payment software with more than 1,200 employees in 14 countries and successfully sold the business to FIS in October 2014. Following the sale of Clear2Pay, Jürgen co-founded Smartfin Capital, B-Hive and Scale-Ups.eu. He currently holds Board positions at several technology companies such as Materialise, MariaDB, Itiviti, NGData, Guardsquare and Itineris among others.